Scott Francis Born, age 58, of the Town of Lima, passed away early Wednesday morning (January 30, 2019) at his home. He was born on December 1, 1960 in Plymouth, son of Alice Born and the late Walter Born Jr.
Scott attended Parkview grade school in Plymouth and graduated from Lightfoot school in Sheboygan Falls in 1980. He enjoyed watching TV and the Green Bay Packers. He also loved taking pictures and entered his photos and vegetables in the Sheboygan County Fair. Scott was a member of St. Paul Lutheran Church in Sheboygan Falls. Survivors include: His mother: Alice of the Town of Lima; Sister: Annette of the Town of Lima; Aunt: Myra Hanlon of New London, WI; Uncles: Larry (Alice) Born of Plymouth and Wallace (Margaret) Born of Howards Grove; Special Friends: Tom and Ginny Kestell, Janet and Richard Holler, Linda and John Fischer, Allen and Alice Stader, George and Rosemary Baumann, and Don Baumann; Special Relatives: Eugene and Georgine Littlefield. He is also survived by other relatives, friends, and many good neighbors. Scott was preceded in death by: His father: Walter Jr; Grandparents: Ray and Meta Born and Walter Sr. and Ann Born; Uncle: George Hanlon; Special cousin: Travis Born; and many other relatives. Cremation has taken place and there will be NO SERVICES OR VISITATION. 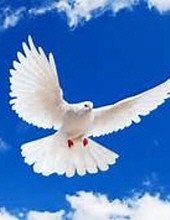 Private family graveside services will be held in spring. Rev. Tom Gudmundson and Rev. Jim Mallman will co-officiate. Inurnment will be in the Farmin Cemetery. A memorial fund is being established in Scott’s name. To send flowers or a remembrance gift to the family of Scott F. Born, please visit our Tribute Store. "Email Address" would like to share the life celebration of Scott F. Born. Click on the "link" to go to share a favorite memory or leave a condolence message for the family.